The key investor of the revamped team competition has hit back at criticism of its founder Gerard Pique. The CEO of investment firm Kosmos has played down fears over a series of high-profile players missing the Davis Cup finals next year as it switches to a week-long event. Javier Alonso has spoken out about the issue during a trip to the Shanghai Masters. Alonso was at the Masters 1000 tournament alongside Barcelona F.C centre-back Gerard Pique, who is the founder of the company. Kosmos has pledged to invest $3 billion into the Davis Cup over the next 25 years. Under the new format, 18 teams will play in an end-of-season finals. Removing the tradition of home and away finals. The group consists of 12 qualified teams, the four semi-finalists from the previous year and two wild cards. 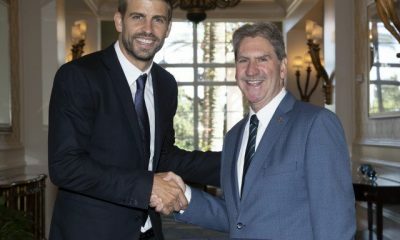 “Gerard Pique has not come to save the Davis Cup because there’s nothing to save, it’s a historical competition which will keep on existing, with or without tennis’ biggest stars.” Alonso told Spanish news agency EFE. Pique was spotted holding a discussion with Novak Djokovic during his time in China. Although it is unclear as to what was discussed. The meeting came at a time where a series of high-profile players have cast doubts on their participation. Germany’s Alexander Zverev became the first top 10 player to publicly say that he will not be playing in the tournament. Saying that his decision has been made due to the timing of the event, which takes place at the end of November. “Because in November I do not want to play tennis anymore. I think all the top guys will say the same thing.” Zverev told reporters in Shanghai about why he will miss the 2019 Davis Cup final. “No, I highly doubt [I’ll be there],” said Federer. “We’ll see what happens. 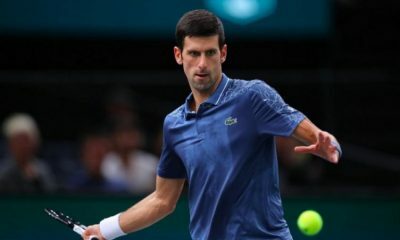 Djokovic is also yet to commit to the event. His meeting with Pique in Shanghai has been described as one that ‘has been done a million times before.’ Indicating that no new agreements has been made. Alonso, who was the former director general of Dorma Sports, has dismissed allegations that his company is trying to fix the team tournament. Saying that the future of the event is not under threat. The words come as the ATP gets ready to bring back the World Team Cup from 2020. An event that will offer ranking points and prize money. “We’ve not come to save anything because there’s nothing to save. The Davis Cup is 118 years old and will keep getting older.” He stated. Next year’s Davis Cup finals will take place at the Caja Magica between November 18th to 24th. After Jim Courier’s resignation from the role of US Davis Cup Captain last September after the defeat in the 2018 semifinal against Croatia, the USTA decided to take their time and make some changes to the duties required by the role. 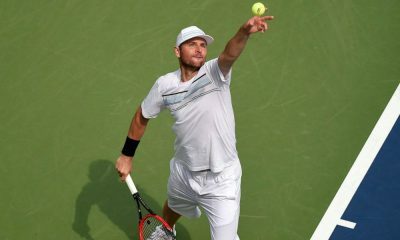 Following Courier’s suggestion that “the new captain should be someone closer in age to the players”, the United States Tennis Association decided to trust former world no.7 Mardy Fish with this important responsibility, also making him a key figure in the Player Development Program, expanding the role of captain into a year-round presence at tournaments around the world to provide a bigger support to players. 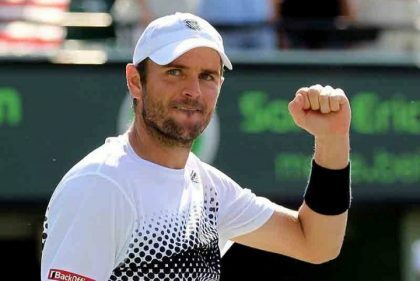 While we were covering the BNP Paribas Open in Indian Wells, Mardy found the time to talk to Ubitennis over the phone from his house in California and provided some insight into this new adventure for him. What can you tell us about your first few months in your new role? It’s been a fun few months, adjusting from the role of peer to the other players to that of captain. I have found a lot of respect towards me from the other players and this is obviously a great thing. I have always been a huge fan of Davis Cup, I have always said yes whenever I had the opportunity to play it, and it’s an honor to be in this role. 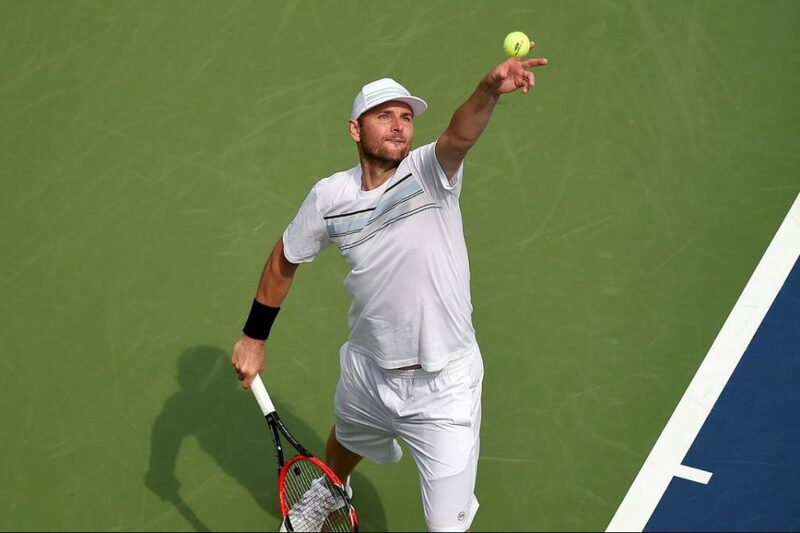 You retired a few years ago from professional tennis: how do you feel about getting back on the road now that your life is structured in a different way? My life at home has been quite established, with my wife and my two kids, but I have been doing a bit of personal traveling for some exhibitions and for golfing. This role will not require a lot of traveling, I will just do what I need to create some camaraderie in the team: I have spent a few days in Indian Wells, from Tuesday to Saturday, I will be a few days in Miami, then I won’t be around much for the European season and I will travel again to tournaments in the summer. I just need the players to know that they have my support and the support of the USTA if it’s needed. What do you think about the new formula for the Davis Cup? I think it’s too early to tell right now, we will find out how it goes. On paper the formula sounds awesome, the time was right for a change, although I’m not sure if it was necessary to make it as drastic as this. I know there are some people that feel very strongly against this new formula, but this means that people are passionate about Davis Cup, they really care about it. The date in the calendar for the Finals is quite tough though. But at the end of the day, if it’s Davis Cup the majority of players will find a way to participate and I’m convinced we will get an excellent field. As far as the US Team is concerned, I don’t foresee any availability issue from our players, especially the younger ones: they are very excited about playing for the USA, the National Team is in a lot of conversations among our players. I can’s speak for other countries, I know some of them have pledged not to play with the new format, but what we need to remember is that we are all responsible for Davis Cup: if Davis Cup fails, we all fail, we are all together on the same boat. For example, the Australian players are all very passionate about Davis Cup, they love it, and that is fantastic. But if they don’t support it, it’s not going to work. With the new formula, a team getting to the final will need to play six ties in seven days: how important do you think it will be to have a ‘long bench’? I think it will be important to bring players who play only singles and other players who play only doubles. I believe that teams that only have one or two players, as it could be for Russia, and relying on them to play both singles and doubles could get into a bit of a situation should they get to the business end of the competition, because their players may get there quite tired. We are lucky in that sense because we can have someone like Jack Sock who could play doubles leaving the singles guys free to worry about the singles. Tennis politics have recently made the headlines with Chris Kermode not being renewed as the ATP CEO. What is your take on this? 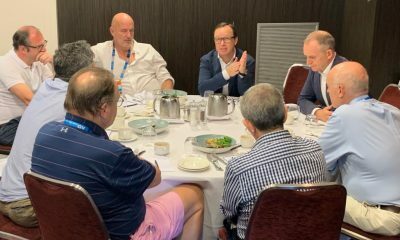 I have spoken to some of the guys who are in the Players’ Council and once again I need to stress that they do what they do because they act with passion. They are passionate about tennis, they act out of love for the game even if their ranking is not high. I know Kermode personally from when he was the Tournament Directors at the Queen’s Tournament and everything was perfect for me; I don’t have direct experience with him at the helm of the ATP, I had already retired when he took the reins of the organization. A few weeks ago the ITF decided the composition of the Round Robin phase of the Davis Cup Final and the US team will be in the same group as Italy and Canada. Can you tell us about these teams? Well, Canada has the right mix of experience and youth: Denis Shapovalov and Felix Auger Aliassime are going to be there for a long time, and Milos [Raonic] will be able to give them all the support they need. Similarly, Italy has an established core of players such as Fabio Fognini and Andreas Seppi that will be supplemented by Marco Cecchinato, whom I know him anyway because he is was my opponent in my last match ever at the US Open. I am very confident about our chances in this group: we have three top 60 players who are still 21 years old or younger, who are Tiafoe, Fritz and Opelka. Tiafoe has just reached the Quarterfinals of the Australian Open, and that’s not a result that you can improvise, you need to beat good players to get there. They will be the core of our team for the years to come, and they will be helped by more established veterans like John [Isner] or Sam [Querrey]. BNP Paribas will no longer sponsor the Davis Cup after 17 years. 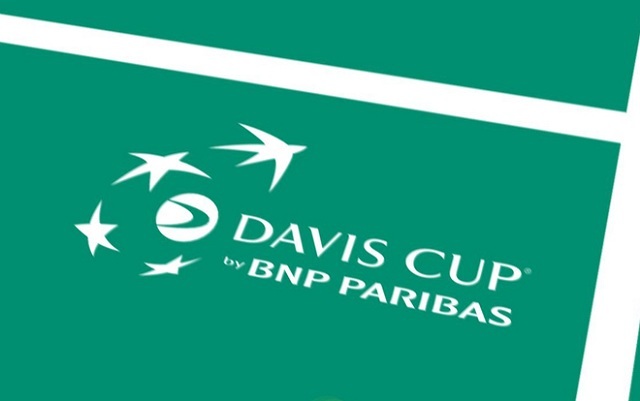 BNP Paribas have ended their 17 year title sponsorship with the Davis Cup as they rebrand to the world cup of tennis. The move was announced in a press release as BNP Paribas look to focus on sponsoring the Fed Cup as well as the junior and wheelchair events. It is clear that the move has been finalised due to the Davis Cup’s new 18 team format which will be tested in November this year in Madrid. Although there has been criticism of the new event this is the first time a sponsorship has been dropped from the Davis Cup and the banking company’s intent. 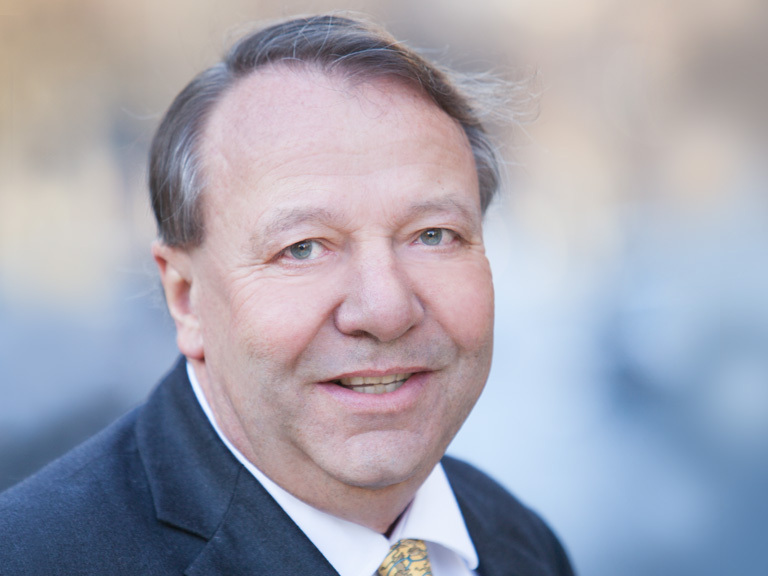 Head of communications, Bertrand Cizeau, explained his decision, “We decided with the ITF to conclude the ‘Davis Cup by BNP Paribas’ partnership as the competition format evolves,” Cizeau explained. 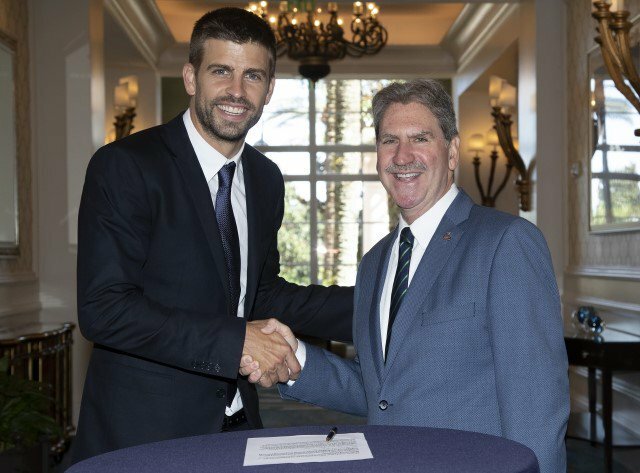 The move is certainly stunning to the ITF but their president David Haggerty did thank BNP Paribas for their contribution, “BNP Paribas has made a vast contribution to the success of the Davis Cup as a title sponsor over the past 17 years,” Haggerty said. The dedicated partner will continue to work with the ITF with a variety of schemes and projects including developing the Junior and Wheelchair events. However with talk of a 12 team Fed Cup event similar to the Davis Cup one, would BNP Paribas stop its partnership with the Fed Cup and how would that impact the ITF? As for David Haggerty he will now aim to rebrand the competition into the ‘Davis Cup, World Cup Of Tennis,’ as many see this as a significant change in the history of the competition that has now gone on for 118 years. Davis Cup Finals Tournament Director Albert Costa has asked fans for their patience ahead of November’s edition. 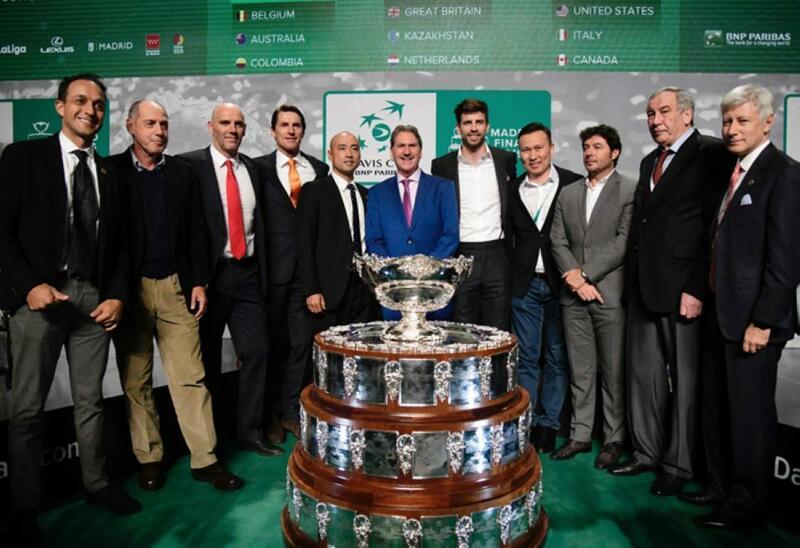 The new format will see 18 teams compete in Madrid in November for the Davis Cup trophy with many people criticising the reforms. 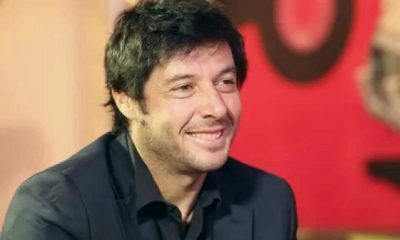 However tournament director Albert Costa has asked tennis fans for patience as he believes in time the Finals will be a success, “After all, it’s one of the great competitions in the world of sports, very attractive, unique and novel for everyone, and for the players it will be a very attractive format,” Costa explained in an interview with Radio Marca. The Spaniard is also looking ahead to the future and is in current discussion to make the Fed Cup a combined event with the Davis Cup in the future, “The Federation Cup is a two-year project, we will see if it is viable, but we have it in our heads,” Costa explained. The Davis Cup Finals takes place on the 18th-24th of November with a weakened field expected as Roger Federer, Dominic Thiem, Juan Martin Del Potro and Alexander Zverev will all not participate in Madrid.